On October 15, 2018, AGEXPORT, the National Coffee Association (ANACAFE) and the Centre for Promotion of Imports from Developing Countries of the Netherlands signed a memorandum of understanding to pursue a project called “Connecting Central America”. This project looks to improve the competitiveness of Central American small and medium producers of specialized coffee, cocoa, fruits, vegetables and seafood. These products were chosen because of the growing opportunities identified on the European market. This project will focus on helping Central American companies develop social corporate responsibility (as it is a key requirement to enter the European market) as well as participate on international fairs in Europe to promote their products. A total of 48 small and medium companies from Guatemala applied to participate in this project, which had its registration process on July and August of this year. In the upcoming months, experts from European countries will review all applications and organize site visits to pre-selected companies. The selection process is expected to end on early 2019. 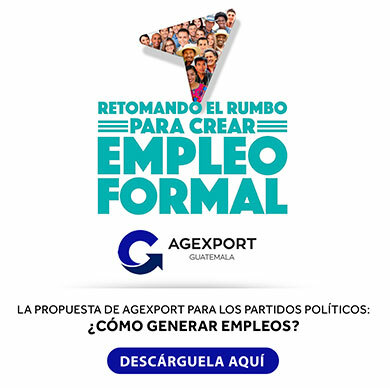 In AGEXPORT, jointly with ANACAFE, the CBI and the European Union, we are dedicating strong efforts to help our member firms develop the required capabilities to be able to export to the large market that is the European Union and its 28 countries, said Mr. Amador Carballido, AGEXPORT’s CEO. ¿Cómo aprovechar la economía verde y tener ahorros en la empresa?